"You wake up with no memory of the last few days. Your friends were killed in an accident that you miraculously survived. Your family has to move to another state to escape the fallout. You meet a mysterious boy who seems to know more about your past than you do. You start seeing things that can't possibly be there. You are afraid you are losing your mind. 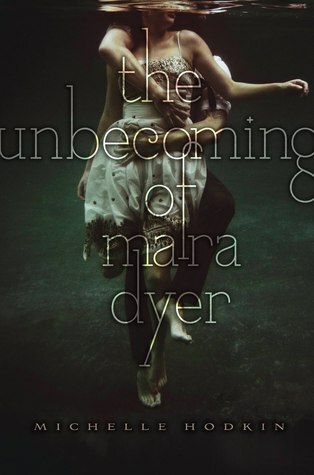 Mara Dyer is about to find out." This book was totally a page-turner for me because of the sudden change in events and the mystery that lies within every chapter. The story is about a girl named Mara who woke up at the hospital one day knowing that three of her friends died the night that they were together in the old Asylum. She doesn't remember any of the event during that night and how she even survived when the building collapsed. Due to the state that she is in, she and her family moved to another place to help with her recovery. She and her brother was later on enrolled at Croyden Academy of the Arts and Sciences. During her stay at the new school she met Jamie and eventually, they became friends. Later on as the story goes she would meet the most popular boy at school, Noah Shaw to whom she would open up her secrets and find out that Noah keeps a certain secret for himself too. In between the story, there are some events that even Mara herself could not explain. There were moments when she would imagine a person being dead in a certain kind of way and the next day she would find out that the exact thing she had imagined would be that person's cause of death. I would recommend this book if you are the type of person who loves to read mysterious stories or if you are a bit of an adventure seeker. 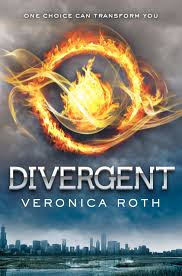 As for my next book, I am currently reading "Divergent" by Veronica Roth.